Various companies have their own drone delivery agendas, companies such as Amazon and Alibaba, and others have drone based Internet delivery goals, like Google and Facebook, but the reference RTF (Ready-to-Fly) delivery drone design has yet to be created. 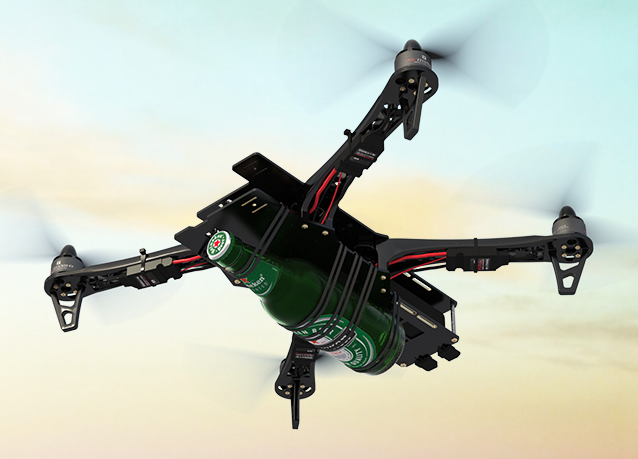 Introducing Flytrex Sky, a RTF delivery drone. The Flytrex Sky is the brainchild of Yariv Bash, CEO of Flytrex and co-founder of SpaceIL, a non-profit Israeli company focused on disrupting space travel. Yariv and team have developed some innovative solutions to the unique problems that delivery drones face. For example, the Sky platform uses what it calls “Collaborative Piloting Technology,” a technology that allows both the sender and the recipient control the drone at various stages of its delivery route. So the sender can decide the first phase of its course, whereas the recipient can control the drone when it is time to land it. With a range of around 7 miles, it can take items up to 2 pounds. Some features are still under development, such as obstacle detection, which would be necessary in many situations. With firmware that is updated through the cloud, installing updates will be simple. This is a major plus in my opinion. From the perspective of a hobbyist or maker, the web based API, the second battery support, dual piloting mode between 3G (mobile) and optional RC Transmitter are intriguing. I can’t wait to see what other sensors get attached. You may have already heard about various drone programs being developed by companies such as Amazon and even Google. 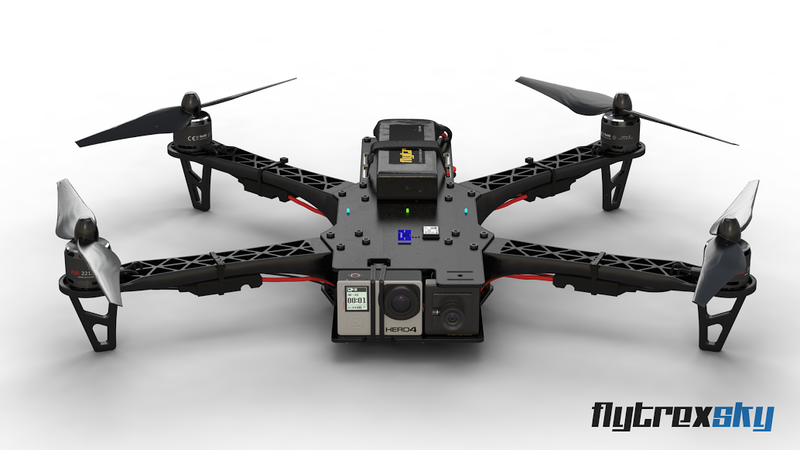 However, the Flytrex Sky is a new type of drone altogether thanks to its unique feature of 3G connectivity. What does this mean for the end-user? Anyone with an Android or iOS based phone will be able to use the drone right out of the box to deliver goods. The Flytrex Sky comes with its own loading dock that can accommodate light packages. The drone doesn’t need any special assembly, so corporations or individuals can simply unpack it and be on their way to flying the drone. With a back-end based on the cloud, there is also no need to program instructions into the device. Best of all, you can buy this drone at 1/5th of the price of commercial delivery drones that companies such as Matternet sell. While Matternet’s device has not made its way to the market yet, when it does, it will be available for $5000. So in comparison, the Flytrex is considerably cheaper. The world’s first real-life messaging app. One click delivery lets you start shipping items to friends and family quickly and easily. Our unique collaborative piloting technology lets both sender and receiver control the drone at different stages of the flight and more. Try it today, find new ways your drone can help you. I did find the fact all kinds of flight information were sent through the “Internet of Things,” or “Internet of Drones” in this case, kinda creepy. You be the judge. Thanks Dronelife for the lead to this story.